We, being the only company in India to offer an end-to-end solution to CAD users, specialise in Computer Aided Design (CAD), Computer Aided Engineering (CAE), and Computer Aided Manufacturing (CAM) with our wings spread across the globe. Mechanical Engineering is the broadest of all engineering disciplines that applies the principles of physics and material science for the purpose of product design. Automotive, Aerospace, Marine, Production, Mechatronics, Thermal engineering, and Robotics are some of the streams that have evolved from mechanical engineering. The software-enabled design tasks in mechanical engineering comprises 2D drafting, 3D modeling, analysis & detailing, and manufacturing. We provide 80 different courses in mechanical engineering that teach specific 2D, 3D Modeling, finite element analysis, finite element management analysis, detailing and computer aided manufacturing tools. We offer courses in various combinations or stand alone versions of world's most popular CAD/CAE software products such as AutoCAD, Ansys, Pro/Engineer, SolidWorks, and NX. Almost all the courses that are offered for the students of professional, diploma, and master diploma courses introduce Geometric Dimensioning & Tolerancing techniques and project management & planning concepts. We provide the following levels of courses that cater to the specific requirements of the students and job profiles. The course ensures that the participant masters various software tools, concepts and project management concepts prerequisite for electrical engineers. The course ensures that the participant is provided with comprehensive expertise on specific software and GD&T concepts. The course ensures that the participant gains fundamental knowledge in the field of electrical engineering using chosen software. The design stages involved in land development and building design (Architecture) are surveying, 2D drafting, 3D modeling, and analysis. The courses provide exposure to multiple combinations of tools encompassing AutoCAD, Revit Architecture, Civil 3D, ANSYS Civil, 3Ds Max, STAAD.Pro and ArchiCAD to suit the career choices of students in civil, architecture / building, and interior design. They comprise the entire engineering and architectural design cycle - from 2D drafting, 3D modeling landscaping, structural analysis, and project planning & management. The courses provide exposure to multiple combinations of tools encompassing AutoCAD, Revit Architecture, Civil 3D, ANSYS Civil, 3Ds Max, STAAD.Pro and ArchiCAD to suit the career choices of students in civil, architecture / building, and interior design. They comprise the entire engineering and architectural design cycle - from 2D drafting, 3D modeling landscaping, structural analysis, and project planning & management. This course will provide all participants a comprehensive grasp on all the skills and concepts required to carry out specialized tasks in the scope of building design. This includes concepts and tools of project management as well. This course provides the participants a combination of software tools to manage the entire lifecycle of building projects. As building projects also includes project management these concepts and tools are covered as well. The course ensures that the participant is equipped with specific skills to carry out the tasks of a working professional in the field of building design. The course ensures that the participant is provided a holistic approach, both practical and theoretical, to specific software. 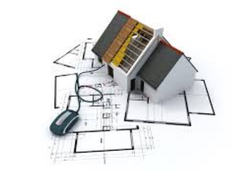 These software tools pertain to different stages of building design. The course ensures that the participant gains essential knowledge in the field of building design. 3D modeling is being preferred not only by customers, but also by engineers and designers because they offer many advantages over the traditional 2D design. So, you need to learn 3D CAD, and SolidWorks is one of the widely used 3D CAD tools in the industry. SolidWorks can help you convert your ideas into product designs quickly, and effectively. Even without having any prior experience in animation, you as an engineer or designer can produce an animated movie of your 3D product design almost instantly. This will help you communicate your product ideas better to a non-technical person. SolidWorks is focusing on growing a community of designers/engineers who are actively publishing their drawings online. There are millions of 3D drawings available for you to use or get inspirations. You will quickly design product concepts because you can use scanned 3D data, imported images, or simple sketches to demonstrate the initial concept. 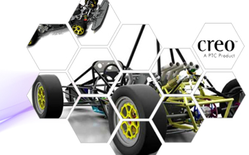 Creo, from PTC, is a complete suite of concept design, 2D, 3D, simulation & analysis engineering software. What is unique about Creo is that it has taken into account how product design and development is done in modern days, using diverse tools, with the participation of people of a variety of skills, from different geographical locations. The key promises of Creo tools include: faster time-to-market, product quality, design efficiency; minimum errors, less scrap and rework. Product designers and engineers are required to have complete knowledge of developing a product design virtually. Creo comes with all the tools that are required for completing a product design. Creo’s wide range of products facilitate both engineers and casual users capture and contribute ideas graphically, and take their fleeting concepts into physical products within the same environment, though idea can be contributed using over 200 document types such as Microsoft Word to MCAD to ECAD drawings. While CAD users can make use of parametric design software from Creo, they can easily collaborate with infrequent or non-CAD users as the software lets them do 3D direct modeling. Creo makes conversion of 2D to 3D, and usage of 3D geometry for simulation and analysis possible. Creo’s 2D solutions: Creo’s Sketch, Layout, and Schematics products allow users to quickly sketch ideas, diagram complex systems, and create detailed engineering concept drawings. Creo’s 3D solutions: Creo’s Parametric, Direct, and Options Modular, lets users create 3D models by advanced CAD users as well as casual users. Simulation: Creo’s Stimulate lets users do virtual prototyping to avoid creating multiple physical prototypes, and over designing of products. Visualization: Creo’s MCAD, ECAD, View Mobile, and Illustrate modules help engineers and designers visualize all product data available in any media formats. You will know how to sketch, model, validate design and visualize product design. 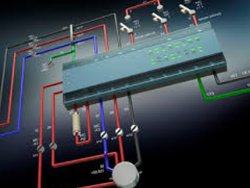 You will know how to do free form, 2D, and evolutionary concept designs; do detailed designing and making late-stage design changes; and you will also know how to diagram electrical, mechanical and hydraulic systems. You will know how to do direct drafting, direct modeling as well as parametric 3D modeling. You will know how to validate a design with engineering simulation and check whether the product design can meet the functional requirements. CAE analysts and designers can test a product for tolerance, behaviour, mechanism dynamics, mechanical motion, performance dimensions, electric clearances, and creepage. AutoCAD Electrical, an integral part of AutoCAD suite of engineering software products, comes with powerful drafting tools for controls and schematic design. The rich repository of symbol libraries help designers increase the productivity of electrical design tasks. Controls Design using standards-based drafting and PLC I/O tools; automation of report generation, and organization of files and projects; Schematic symbol libraries, real-time error checking, schematic design tools. Cinematic-quality rendering and 3D animation, compelling visuals and presentations of Panel Layout module. And, project management that lets designers to collaborate and work with multiple people and teams. Geometric Dimensioning and Tolerancing (GD&T) is a method for precisely defining the geometry of mechanical parts. It allows mechanical engineers, fabricators and designers to communicate engineering tolerances such as a permissible limit of variation in a physical dimension or a physical property of a material or a measured value such as temperature and humidity. You will have to learn GD&T so as to precisely define nominal geometry of parts and assemblies. GD&T is widely used in automotive, aerospace, electronic, and commercial design and manufacturing industries. A mastery over the language of GD&T that consists of dimensions, tolerances, symbols, definitions, rules, and conventions has become an important skill for engineers, designers and other CAD users. Tolerancing specifications: To define the allowable variation for the form and possibly the size of individual features and allowable variation in orientation and location between features. Geometric characteristics: Designers can use symbolic language on engineering drawings and computer generated 3D solid models to explicitly describe nominal geometry and its allowable variations. The geometric symbols include straightness, flatness, circularity, cyclindricity, profile of a line, surface, perpendicularity, and angularity. You will be able to provide a clear and concise technique for defining a reference coordinate system on a component or assembly to be used throughout the manufacturing and inspection processes. You will know how to accurately and quickly define design, manufacturing and inspection requirements. You will know how to simplify the design of cost saving functional check gages, manufacturing fixtures and jigs. STAAD stands for Structural Analysis And Design. STAAD Pro is a structural analysis and design computer program used for steel, concrete, timber, aluminum, and cold-formed steel design of virtually any structure including culverts, petrochemical plants, tunnels, bridges, piles, etc. It is used for 3D model generation, analysis and multi-material design. It is one of the software applications created to help structural engineers automate their tasks, to remove the tedious and long procedures of the manual methods. STAAD Pro comes with flexible modeling environment, advanced features, and fluent data collaboration. It is the world’s number one structural analysis and design software that supports Indian and all international codes. 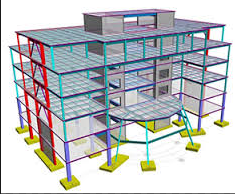 STAAD.Pro allows structural engineers to analyze and design virtually any type of structure. Structural engineering firms, structural consultants, departments in construction companies, owner/operators, and government agencies, and offshore platform designers’ use this software extensively. CADD Centre’s STAAD Pro training covers all the steps involved in structural analysis and design of concrete and steel. We introduce you to STAAD Pro’s state of the art user interface, visualization tools, powerful analysis and design engines with advanced finite element (FEM) and dynamic analysis capabilities. 2D/3D analysis based on state-of-the-art Matrix method to handle extremely large job. Linear, p-delta analysis, non-linear analysis with automatic load and stiffness correction. Forces and displacements at sections between nodes. Maximum and minimum force envelopes. You will know how to complete object-oriented intuitive 2D/3D graphic model generation. Every building has its price. Accurately forecasting the cost of future projects is an important skill for civil engineers and cost estimators. Our course on Building Estimation and Costing, based on Autodesk's Quantity Takeoff software, can help engineers and estimators make material costing faster, easier, and more accurate. The course is useful for civil engineering and architectural students and professionals. Quantity Takeoff helps you perform a takeoff on an entire building information model in just minutes—as opposed to days using traditional methods. The software provides greater exibility than typical databases or spreadsheets, enabling a smoother, more accurate work-ow for cost estimators. You can take advantage of digital property data to automatically or manually measure areas and count or price building components such as walls, doors, and window. 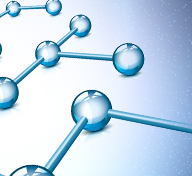 You can create detailed materials reports much faster than paper-based processes. You can keep your workflow digital and help ensure that reports, materials quantities, and other data remain up to date. Importantly, you can more efficiently count and quantify building components and their compositions. Building estimation and costing from 2D AutoCAD drawings. Creation of synchronized, comprehensive project views that combine important information from building information modeling (BIM) tools such as Revit® Architecture, Revit® Structure, and Revit® MEP software together with geometry, images, and data from other tools. Automatic or manual measuring of areas and counting of building components, exporting to Microsoft Excel, and publishing to DWF™ format. Autodesk's Quantity Takeoff supports the takeoff of JPG, TIF, PDF, and other “nonintelligent” image formats. Latest Autodesk technology in the areas of drawing, viewing, quantication, and markup capabilities, uniting design data and other vital information within an open and uid architecture. So you can better keep track of changing variables without missing a beat. Generating material quantity takeoffs and performing conceptual estimates, regardless of what phase you are in during a project—from design through preconstruction. AutoCAD RCC/Structural Detailing software is built on the familiar AutoCAD software platform. It helps structural engineers, detailers and fabricators create detailing and fabrication shop drawings. AutoDesk’s 3dS Max is widely used by architects and civil engineers for 3D visualization of their designs. Though, you will use CAD software for drawings, you can bring them into 3dS Max for rendering photo-realistic visualization. Though you can get decent renders out of CAD software, 3ds Max can provide the control you need in your render settings. Most architects and engineers use CAD software and BIM tools for modeling and prefer 3ds Max for rendering. You can engineers, detailers, and fabricators create more precise detailing and fabrication shop drawings for a variety of steel and concrete structures. You can do 3D reinforcement beam design, view reinforced concrete element geometry in 3D, automatically generate views and details. Besides, you can prepare shop drawings automatically, make bolt, nut, and washer positioning effectively and use auto-positioning to help streamline design. You can make use of country-specific structural detailing templates that come with the software and make structural drawings suitable for local and regional building codes promoted by almost all countries. The structural analysis module of the software helps you smoothly import structural steel models, and import Revit data - you can also use Revit data to make 2D reinforcement drawings. You can view concrete foundations as solid objects, and use intelligent structural objects to automatically generate shop drawings and improve data coordination in shop drawing sets. At CADD Centre, we help you master some of the following 'structural drafting & documentation' and 'structural element design productivity' features of AutoCAD's RCC/Structural Detailing software: 3D reinforcement beam design, using weld symbols in drawings, scheduling, customizable detailing and shop drawing, among others. You can engineers, detailers, and fabricators create more precise detailing and fabrication shop drawings for a variety of steel and concrete structures. This course provides the participants a combination of software tools required to gain expertise in structural analysis and design. The course ensures that the participant is equipped with specific skills to carry out the tasks of a working professional in the field of structural design. The course ensures that the participant is provided a holistic approach, both practical and theoretical, to specific software. These software tools pertain to different stages of structural design. The course ensures that the participant gains essential knowledge in the field of structural design. The course ensures that the participant masters various software tools providing skills to explore civil engineering and architectural components of land survey and transportation design. Also substantiated with complete understanding of project management concepts and tools. The course ensures that the participant is provided with comprehensive expertise on specific software tools to carry out tasks of survey and transportation design. ADD Centre Training Services Private Limited, a diversified global network of creative, engineering and management skill development institute has become the official Education Training Partner in India for Dassault Systèmes, a world leader in 3D design software, 3D Digital Mock Up and Product Lifecycle Management solutions. CADD Centre will offer advanced courses in CATIA - A multi-platform CAD/CAM/CAE software. The courses will be offered by authorized CADD Centre training centres - christened Dassault Systèmes Authorized Centres using original software, high-end hardware, special courseware, and by trainers who are trained by Dassault Systèmes. CATIA training (V5) course introduces the user to CATIA V5, one of the world's leading parametric solid modeling packages. This course emphasizes on the solid modeling techniques that enhance the productivity and efficiency of the user. This course is structured in a pedagogical sequence, covering the Part, Assembly, Drafting, Wireframe & Surfaces and Generative Sheetmetal Design workbenches of CATIA V5. 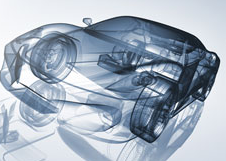 Every session provides with detailed explanation of the commands and tools in CATIA V5. This approach allows the user to understand and use the tool in an efficient manner. NASTRAN is a method of finite element analysis, originally developed by NASA of the US. It is an industry standard for over 40 years. It is used to analyze stress, vibration, structured failure, heat transfer, acoustics, and aeroelasticity analyzer. NX Nastran, a simulation solution created by Siemens PLM Software, is widely used in aerospace, automotive, electronics, heavy machinery, medical device and other industries to build safe, reliable and optimized designs with increasingly shorter design cycles. Why you should learn NX Nastran? Delay in finding problems/errors in the product development process is the topmost product design challenge faced by many companies. NX Nastran helps companies to find problems even before the prototype of the product is made and costly physical testing are conducted. Simulation also helps companies to make right trade offs for cost, performance, and quality. Mastery over NX Nastran can give you confidence that your design will work when the first physical prototype is tested. You can safely evaluate design concepts that can be accomplished with physical prototypes. NX Nastran is best suited for the most advanced and demanding users. This feature helps engineers solve static problems (“Will a structure fail under a prescribed load?”), transient problems (where loads change over a time). This type of analysis covers transient to frequency, to random and loading to shock response of a product. A use case of dynamic analysis include: evaluation of the effect of vibrations on the performance of consumer products and other high tech electronic devices. Analysis of structural models in the presence of an air stream can be done using aeroelastic analysis. Static aero elastic trim analysis, flutter and dynamic aero elasticity response are some of the aero elastic analysis used in the design of airplanes, helicopters, missiles, suspension bridges, tall chimneys, power lines, and so on. You will know how to complete complex coupled-physics problems (widely used in electronics industry). NX CAM is a part of Unigraphics NX, owned by Siemens PLM Software, meant for computer aided manufacturing including numerical control programming and all kinds of subtractive and additive manufacturing. NX CAM is used for doing quality and thorough manufacturing plan- that starts from defining the manufacturing plan to taking it to the shop floor for execution. NX CAM offers complete solutions for part manufacturing- from CAM to CNC controller. It will help you reduce numerical control programming and machining time, so that you can produce better quality products. NX CAM also includes solutions for tooling design software and machine tool controllers. You can create efficient tool paths for machinery and heavy equipment parts. It helps you maximize the use of manufacturing resources and maximize your returns on investment in machine tool technology. NX CAM is widely used in aerospace, automotive, medical devices, mould and die, and machinery industries. NX CAM supports your full range of manufacturing engineering needs and can help you achieve production automation requirements - from shop floor manufacturing to large batch production. This feature enables your manufacturing engineering and production teams work together using a single source of information. It eliminates the need for using multiple databases right from when you use 3D model to finished products. The emphasis is on the reuse of data. NX CAM’s advanced applications help you to program multi-axis machine tools, and multi-turns. Other solutions for machine tool programming, post-processing and machining simulation. This feature lets the production team to use CAD tools for modeling new parts and preparing part models for CAM. The CAM solution has latest user interaction techniques and intuitive graphics-driven programming that lets the creation of NC programs quickly. Using this functionality, NC codes required for any type of machine tool and controller configuration can be easily generated. This improves manufacturing productivity by automating NC programming. You will know how to develop part geometry & develop, iterate, simulate and finalize the form and function. You will know how to create, optimize, production-ready machining programs. You will know how to create a wide range of functionality - from simple NC programming to high speed and multi-axis machining. 3D modeling and texturing; 3D rendering; Configurable user interface; After Effects interoperability; and Compositing integration, among others. Autodesk’s Revit Architecture is a Building Information Modeling software tool for architects, structural engineers, engineers, and contractors. It allows users to design a building and its components in 3D, annotate the model with 2D drafting elements and access building information from the building models database. Revit comes with tools to plan and track various stages in the building's lifecycle, from concept to construction and later demolition. By learning Revit, you as a design and construction professional, will be able to bring ideas from concept to construction with a coordinated and consistent model-based approach. Collaboration: Work-sharing – multiple users save their work to a central file; collaboration on shared models across a WAN; work from remote locations using a local server. Design: More easily model, edit, and document designs of stairs and railings; parametric components - graphical system for design, form making; HVAC/electrical design room color-fill plans and communication of design intent, visually. Visualization for creating displaced building design views; improvement of performance for visualization; capturing of design ideas in a photorealistic state, and reduction of project cost with cloud-based rendering. You will know how to develop higher-quality, more accurate architectural designs; use tools specifically built to support Building Information Modeling workflows. You will know how to capture and analyze concepts, and maintain your vision through design, documentation, and construction. You will know how to do building element energy analysis; use the API to perform pipe/duct calculations; perform static analysis from the cloud; create/manage the structural analytical model; automatically update your model with analysis results; and improve BIM-based building performance workflows. You will know how to scan Revit model for collisions between elements; work with multiple users and save their work to a central file; collaborate on shared models across a WAN; streamline data management; and work from remote locations using a local server. You will know how to dock dialogs in a single window; more easily model, edit, and document designs; place air terminal devices on duct faces; restrict angles for pipe, duct, and cable tray; cap open ends of pipe or duct content quickly; rebar placement constraints customization; gain control over rebar placement; and get more rebar options when modeling. You will learn to crop non-rectangular model areas faster; easily manage elevation cut-line configuration; automatically display dimension values; annotate multiple elements with a single tag; define geometry and position for beams and braces; get greater control of schedule formatting; derive construction insight from design models; calculate/track detailed material quantities, display totals in current or load values, and create details from views of a 3D model. MicroStation is the world’s leading information modeling environment explicitly for the architecture, engineering, construction, and operation of all infrastructure types including utility systems, roads and rail, bridges, buildings, communications networks, water and wastewater networks, process plants, mining, and more. It helps engineers meet the demanding requirements of architectural, engineering, construction, operations (AECO), and geospatial professionals. It is ideally suited for all infrastructure types, and can be used either as a software application or as a technology platform for a wide range of discipline-specific applications from Bentley and others. It is comprehensive design, engineering, and simulation applications. MicroStation can meet the needs of infrastructure teams across every discipline throughout design, construction, and operations. It is relied upon for speed, power, precision, and confidence by about 47 of the top 50 ENR design firms in the world. It is used in 143 countries and supports 13 languages. MicroStation’s highly interoperable environment that ensures information from diverse sources is integrated and accessible on demand by your team, empowering the incorporation of any design data, regardless of format. Extensive Format Interoperability – Precise incorporation of existing data from an extensive range of AECO and geospatial formats including DGN, RealDWGTM, DXF, PDF, point clouds, U3D, 3DS, Rhino 3DM, IGES, Parasolid, ACIS SAT, CGM, STEP AP203/AP214, STL, OBJ, VRMLWorld, Google Earth KML, SketchUp SKP, Collada, ESRI SHP, IFC, and more. Geocoordination – Automatic transformation and integration of geospatial information supporting hundreds of geospatial coordinate systems and ensuring spatial information is always displayed in its proper context. You will confidently produce trusted deliverables such as precise drawings, information-rich 3D PDFs and 3D plots that enable performance simulation of designs, including lifelike rendering and compelling animations. You will build better infrastructure by accurately predicting the infrastructure’s real-world performance in advance. You will know how to track and report on changes made to designs down to the component-level throughout the model’s lifecycle including revision control, roll-back of changes, and visual display of historical changes. You will learn to design file controls to ensure that only authorized individuals can view, edit, or print designs within a user-defined time limit. This advanced capability used in analysing the impact of blast, explosion and impact in civil engineering projects as diverse as high-rise buildings, bridges, dams, tunnels and stadiums. You will learn to test variables virtually to simulate the many possible scenarios and ultimately create the safest systems possible. You will know how to do rock and soil mechanics analysis; material-specific maximum load assumptions; linear, nonlinear, static and dynamic analyses; sensitivity and parametric studies; and other related works. You will experiment with design in a virtual environment, and analyze safety, strength, comfort and environmental considerations of buildings and other civil projects. You will know how to virtually model various structures and test the impact of environmental and destructive forces as many times as needed to completely understand the effects of a disaster on a structure.